STAR Melbourne recruit Steven May is back running and in no danger of missing round one despite a hamstring strain forcing him to withdraw from next week's AFLX tournament. May was never going to be able to play, with the injury sustained before Wednesday night's AFLX draft, but Team Deadly captain Eddie Betts was unaware of that at the time. The 27-year-old key defender sustained the injury on the club's training camp at Maroochydore and a subsequent scan revealed a low-grade strain on his right leg. May expects to be limited for the next three to four weeks. 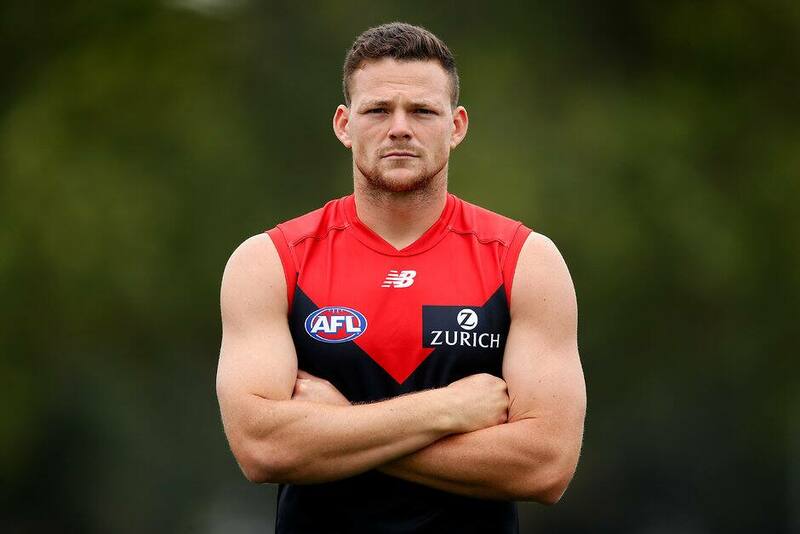 He plans to play in the Demons' second JLT Community Series match against Brisbane at Casey Fields on March 9, a fortnight before their season-opening clash with Port Adelaide. The former Gold Coast co-captain said his body adapting to Melbourne's running standards was one potential reason for the minor setback. "They train very hard every session (and) they have a lot of good runners, which I found out pretty early," May told reporters. "I've been playing catch up a little bit, but now I'm finally going really well and it's a bit of a bummer to have to miss a few weeks. May also responded to Richmond premiership forward and Team Rampage captain Jack Riewoldt's draft night jibe about kicking 10 goals on him last year. "I saw that – I've actually been tagged on that (on social media) a few times," he said. "He didn't kick 10 on me, he kicked 10 against us, but Jack's a funny guy and I suppose it was good banter for the draft. "I'm sure Tommy Lynch had a fair bit to do with that comment, after I had a little jab at him earlier when I first signed, so fair play – it was a pretty good call. "But now I've had about 30 blokes ask me 'Did he kick 10 on you? ', so it's a bit embarrassing." May will miss the chance for revenge against Riewoldt when the clubs meet in their first JLT contest, but they clash again in round six in the premiership season. "I'll remind him about that," he said. "We play them in JLT One, so I'm going to miss that opportunity, but we'll play on each other again soon and hopefully I can keep him under 10 goals."